Next-generation military microsystems enabling modern day equipments like radar, guidance and high-data-rate communications will require advances in integrated circuit (IC) technology in the future. 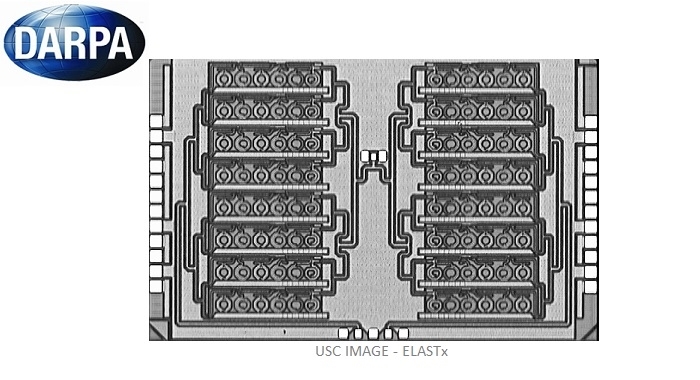 DARPA’s Efficient Linearized All-Silicon Transmitter ICs (ELASTx) program, now in its final states, is an effort in this very field with a technical goal of developing monolithic, high power-added-efficiency (PAE), high-linearity, millimeter-wave, silicon-based transmitter ICs. DARPA has achieved this goal by supporting the development of complex, silicon-enabled radiofrequency (RF), analog and mixed-signal circuit designs. Low breakdown voltages of silicon-based devices have historically limited their applicability in power amplifiers (PAs). Instead, PAs have been built with devices based on more voltage-tolerant III-V compound semiconductor materials (e.g., GaAs, GaN and InP). Meanwhile, since many US Department of Defense (DoD) applications of interest require high linearity for transmission of advanced waveforms (specific formats of the signals carrying data and communications), PA development focused on linear amplifier classes (e.g., Class A and AB) at the expense of efficiency. The lower efficiency, in turn, limits the battery lifetime of mobile platforms. There are more efficient amplifiers (e.g., Class E and F), but these are far less linear in operation as measured, for example, in terms of error vector magnitude (EVM) and adjacent channel power ratio (ACPR). The new class of ICs at the heart of the ELASTx program could provide a solution to these technology compromises by enabling RF transmitters to combine high efficiency with high linearity. 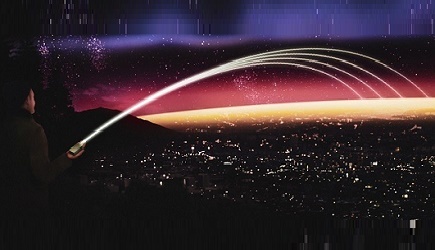 The program has had three phases that feature increasingly aggressive goals for bandwidth and operating frequency: 3.5 GHz at 45 GHz, 5 GHz at 94 GHz, and 8 GHz at 138 GHz, respectively. 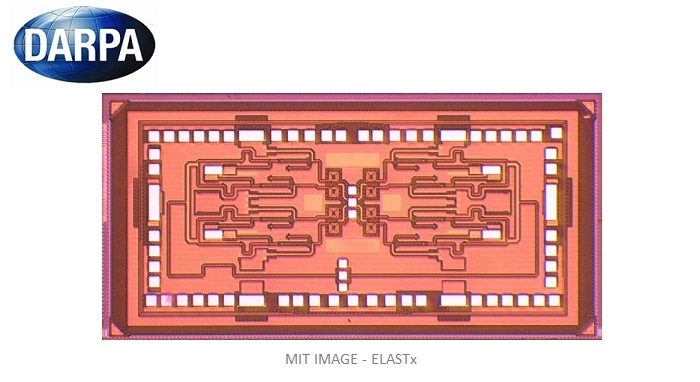 The program has yet to demonstrate a transmitter at the highest operating frequency, but it has yielded a monolithic, Watt-level silicon-based transmitter with an unprecedented PAE and low EVM and ACPR for 64 QAM waveforms at frequencies up to 94 GHz. Click here to learn more about the ELASTx program.